Lowest Price & Free Shipping on all contiguous USA orders above $50. Buying printer ink cartridges and office supplies can be a tedious and an annoying task at times. So now it only becomes more difficult with having to differentiate about what OEM, remanufactured or compatible printer ink cartridges all mean and what the price difference is all about. We often times are told by other users and manufacturers that remanufactured and compatible printer ink cartridges are inferior in quality compared to OEM parts. 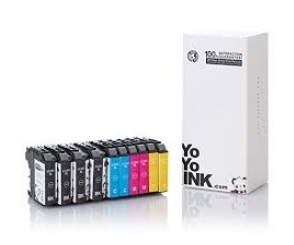 At YoYoInk we make sure all of our remanufactured and compatible printer ink cartridges and toners are set to meet and even exceed OEM standards. At this point you might be asking yourself what does all this mean? 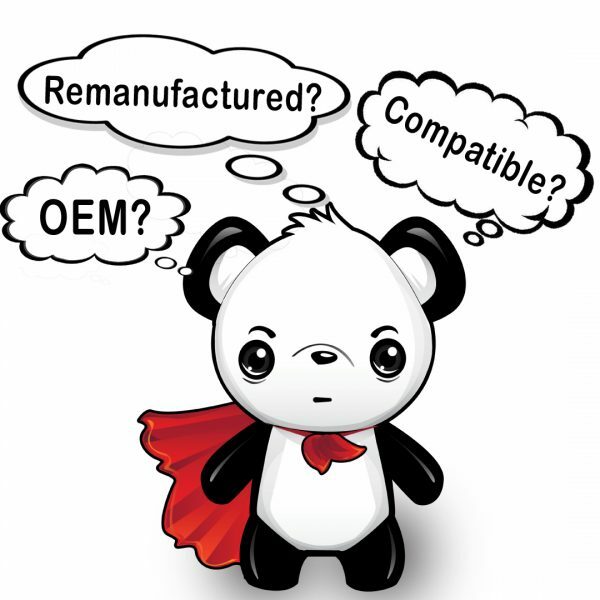 What is an OEM Printer Ink Cartridges? OEM or Original Equipment Manufacturer refers to products that have been made and manufactured by a particular manufacturer with their own intellectual property and rights with each part. These manufacturers have established relationships with brands that then brand these parts and products as there own to make the product more appealing while adding value to the product. OEM printer ink cartridges are known to be reliable with the highest quality possible all while producing the most prints. These same attributes can be said about the remanufactured and compatible printer ink cartridges but with a huge benefit, the price difference is huge! 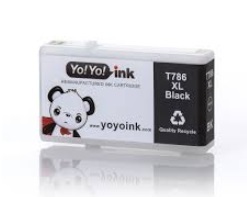 Here at YoYoInk you can find the remanufactured and compatible printer ink cartridges at 75% off retail price. What is a Remanufactured Ink Cartridge? recycled ink cartridges are completely broken down part by part to make sure everything is clean and each part is inspected to operate at OEM standards. Once it passes the initial inspection the ink cartridge is put together following the OEM standards to ensure high quality. When the remanufactured printer ink cartridges and toners are rebuilt they are tested several times to make sure the proper color and page yield is accurate. If anything appears to not be working properly these parts are sent to a recycling center for complete disassembling of the cartridge to make sure we are doing our part to protect the environment. Check out our previous Go Green blog to learn more about the needs and benefits of recycling your used printer ink cartridges. With such high standards set by our own manufactures while still following the OEM standards so we can make sure to have a high quality, reliable products every time you order from YoYoInk. What is a Compatible Ink Cartridge? A compatible printer ink cartridge is much different from the OEM printer ink cartridges and remanufactured printer ink cartridges simply because all the technology and parts are not from an OEM source. A compatible printer ink cartridge is made from 100% brand new parts everytime. These compatible ink cartridges are held to the same high OEM standards to ensure we are providing the best quality products to you. The biggest benefit about the compatible printer ink cartridges is the price, especially when compared to OEM ink cartridges. The main thing you must consider when buying a compatible printer ink cartridge is whether or not the company or supplier has a credible reputation for providing high quality compatible ink cartridges. At YoYoInk we believe in the quality of our products and that’s why we offer a 2-year customer satisfaction, money back guarantee on all our printer ink cartridges and toners. YoYoInk is a trusted ink cartridge and toner supplier, existing to serve the community that Super Panda supports. With the power of the panda, your printing possibilities are infinite. Brother, Dell, HP, Lexmark, Canon, Epson, and other manufacturer brand names and logos are registered trademarks of their respective owners. Any and all brand name designations or references are made solely for purposes of demonstrating compatibility. ©2018 - YoyoInk. All Rights Reserved.